Demandforce gives your spa the marketing tools it needs to attract and retain clients, manage and build your online reputation, all while saving time! Demandforce integrates directly with mSPA® to leverage the data you already have to optimize and grow your business. 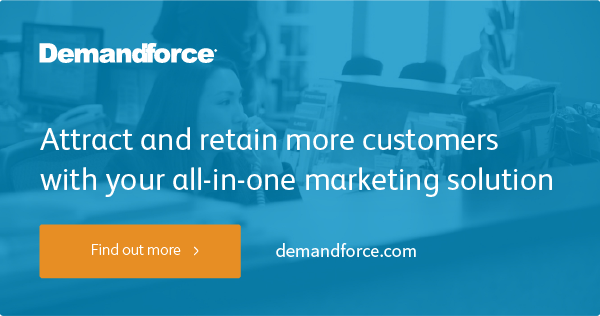 A majority of Demandforce customers* boosted their email campaign activity by an average of 124%, with a 51% increase in appointment confirmations. Ask about our special Introductory Offer for mSPA® customers!